Full Clickadu Review for 2018 - Should you use this network at all? 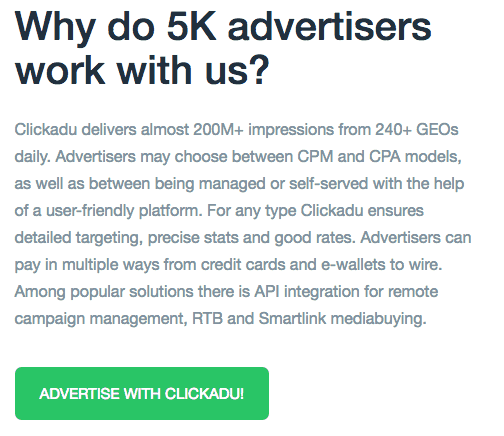 Meet Clickadu! The new kid on the block, well, the new-ish kid! Founded in 2014 it quickly rose to become one of the biggest shooting stars in the ad network world. 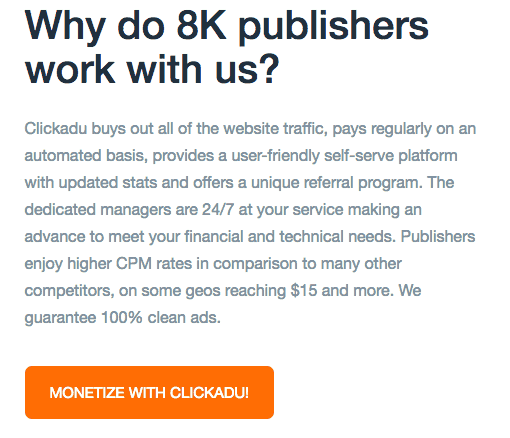 In only three years, Clickadu can claim to work with 8000 publishers, and 5000 advertisers in their network. With fast approval, dedicated 24/7 customer support and a user-friendly self-serve interface, it's not hard to understand why so many publishers and advertisers have chosen to work with them! In this review of Clickadu, we will go through many of the basics when it comes to working with the network and featuring a summary to the features. We are happy to add this review to our extensive Pop-Under Network review page! Want to test Clickadu today? Sign Up here! When you sign up as a publisher with Clickadu, you could not wish for a more uncomplicated process. When clicking on the sign up link you will be directed to a page where to fill your details in. When you've filled everything in, including your email, you will get a confirmation email with verification to proceed. Once confirmed, you will get access to your dashboard! Simple as that. Upon signing up, you will also be able to enter your messenger details. We chose Skype and before we knew it, we had a new contact request from our account manager! All of these options are presented in an easy to use way and makes your daily reporting straightforward! Being an active publisher and sending traffic to this ad network is as straight forward as most other things when it comes to Clickadu. Stats, Sites, Payments, Support and API features are available upon entering the dashboard. 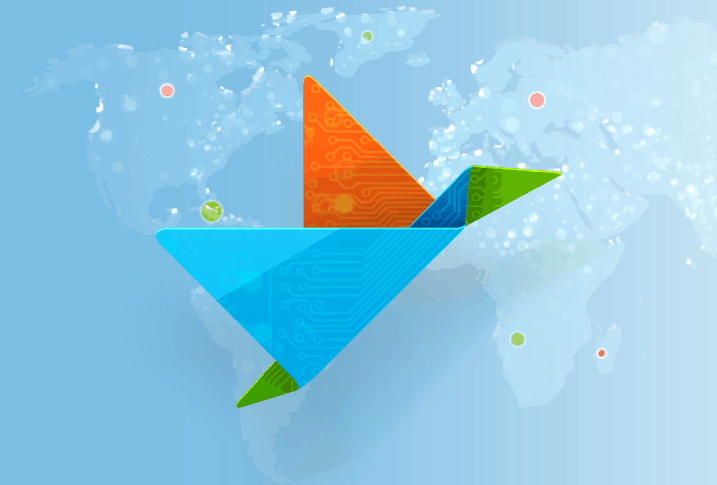 It gives a clear overview of the platform and its design is one of the most good looking ones out there today! A live support feature directly in the dashboard could have been a good idea to add to the network. 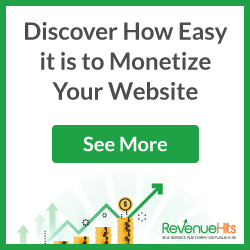 Publishers get paid in CPM rates. More about CPM here. The payments starting from $100 and above are fully automatic, these payments made on 4th and 19th day of the month. (no need to request them). As a publisher, you can achieve good CPM rates for your traffic. Clickadu excepts most kind of websites, regardless depending of the size or category. You will be able to add sites for review and you will get a confirmation in short time to see if your website has been approved. 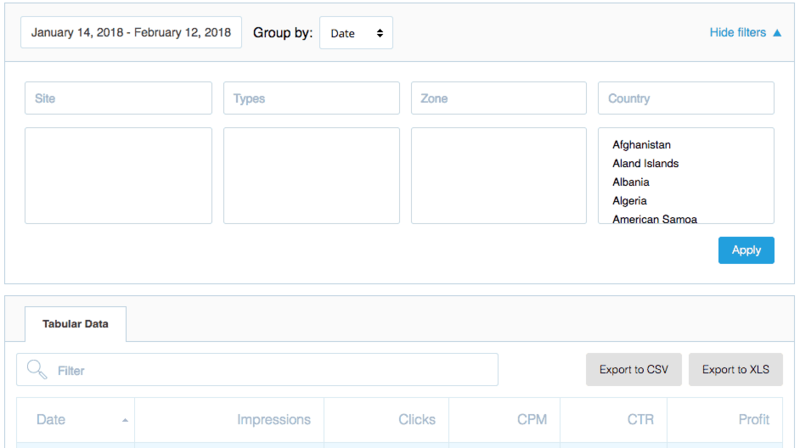 When it comes to CPM rates for different countries and knowing what you can produce together for your traffic, it's as always depending on various factors. Factors including geographics, volume, traffic quality etc. This network is a very exciting addition to the pop-under ad network world. It brings a class a quality support for both advertisers and publishers, with fast approval and fast feedback. If you haven't already tried Clickadu - Try it! Sign Up with Clickadu today to get started!